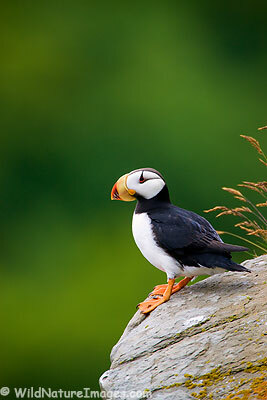 We have finished our updates to our website and have a new section of Puffin photos. Puffin rock! We have also updated our section of bear photos. Come to think of it, bears rock too! In addition, we were able to migrate our all 4,970 pages of our website from the obsolete FrontPage to a more more appropriate program, Dreamweaver. What a huge relief! Gorgeous – not only the bird – the bokeh is top notch as well! Great stuff Ron. So are you finding that Dreamweaver is helping to improve the efficiency of your workflow? That is a lot of pages. Thanks Richard. Dreamweaver is going to make a huge difference in our efficiency. FrontPage just wasn’t intended for such a large site. If we wanted to make a small change such as deleting even a single character on a page, it would take a couple of minutes to save that page even on a really fast computer with 8 gb of ram! Now it is instant. btw, your interview will be going live tomorrow morning. In addition, for converting our pages, we figured it was going to take 3 to 5 minutes per page to make the changes from FrontPage to DW. When I found away around this it is like we just freed up a month of our life in one day! Needless to say we went out to dinner and celebrated. I’m sure this will be on some cover somewhere soon – great photo.